By now you have probably read one million posts on this and are totally bored but I still want to throw my hat into the ring and offer my opinion. As we all know what works for one does not work for another and with some mixed reviews for this product, I imagine any one considering buying it could use one more review to help make up their mind either way. 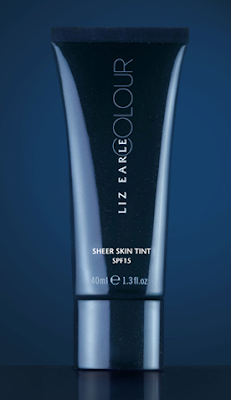 Having been a fan of their products for years I was so excited when it was announced Liz Earle were moving into the cosmetic side of the industry,the first offering is the Skin Tint which will be available for £21 from the 15th of September. Launching to customers in September, our new beauty essential delivers great results on all skin types. Sheer Skin Tint is the natural bridge from skincare through to colour – this hard-working beauty staple is rich and creamy like a foundation, yet so lightweight it glides effortlessly onto the skin, blending easily to enhance natural skin tones. Delivering dependable, visible results, Sheer Skin Tint has been designed for use all year round, the unique, high-performance formulation leaves skin dewy, even and radiant, with the perfect level of coverage for every woman to achieve naturally beautiful skin. I have been using the Tint now for over a week and I am really pleased with it. It has a slightly thicker coverage than a normal tinted moisturiser which is the kind of coverage I like ( when my skin is behaving) it is not so sheer I feel totally 'naked'. I really liked the creamy formula, I found it blended effortlessly on to my skin and left it with a really natural looking dewy glow which is what I always look for in my base. It has lasted on me really well all day without powder, but I have tried setting it with powder and it still doesn't look to cakey or over done. I am a huge fan of its SPF 15 which is really important to me, but so far I haven't experienced any problems with photographing it, there hasn't been the usual dreaded white cast that other SPF products leave. It is a creamy formula with mineral UV protection SPF15 and is enriched with a blend of natural source vitamin E, borage and avocado, and is suitable for all skin types. Hopefully you can really see the kind of even glow it is gives in the below snaps, worn on night before and day after skin- not bad at all! Worn with just blusher and mascara and a cheeky Sleek lip paint mixture, I am really happy with the results. Here I am wearing the lightest shade Bare although I am experimenting with the next shade up as my skin is a bit of a mixture at the moment. The shade range so far is not amazing, but I do hear there are plans to expand on this which is good, the fairest shade however will definitely please the palest ladies as it is really light and it as it blends out very well. Overall I am a big fan, I think what is on offer here is something I have been looking for a while. The worry I have is with how long it will last me, at £21 a tube it is not the cheapest but due to the quality I would definitely repurchase. It remains to be seen how long this tube lasts but hopefully I will get a lot of wear out of it to be worth the money.